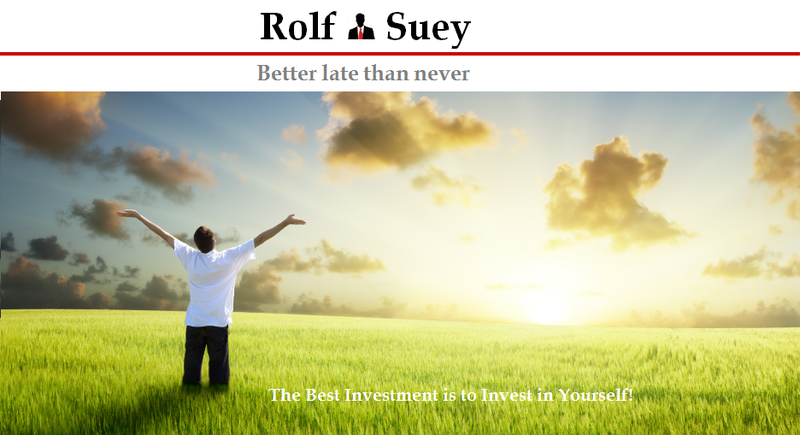 This is Part 3 of Rolf's "Fallacy of How to be Rich" series where I will discuss about property / real estate investments. Earlier posts as follows. Price of property sure goes up one lar! In this land scarce city, many believe the fastest way to be rich is to invest in property. To the mass mainstream Singaporeans, it is a no brainer that property price will only have one direction to go. And that is up! To certain extent, this is true. If we refer to the overall Singapore Residential Property Price Index from 1976 till 2016, while there were dips during crisis of 1987 (US stock market crash “Black Monday”), 1997 (AFC), 2000-2003 (Dot.com bust and SARs) and 2009 (GFC), but overall it is still trending higher and higher for the last 40 years. In fact, Singapore property market has been growing so fast that many HDBs crossed million S$ mark and private property below one million S$ is becoming so hard to find too. But we have to ask ourselves, is the real estate lucrative price increase due to Singapore's economic success? Inflation? and how is this investment class compared to the others. Boring Investor blogger Chin Wai had written an excellent article analysing and comparing the returns of STI versus Real Estate Executive Condominium (EC) in Singapore. He uses EC rather than condominiums because EC in general has better overall returns than Condos in this country. Chin Wai mentioned that compared to shares, there are 3 batches of ECs that outperformed the STI, namely, the 1999-2010, 2001-2013 and 2001-2014 batches. However, overall for the 21 ECs studied, ECs still underperformed the STI. The average return by ECs is 64.2% while the average return by STI is 101.5% over the 12-year holding period. Shares outperformed ECs by 37.2%. Read: Do Properties or Shares Make Better Investments? Let me use USA's average median income household price as an example since precious metals are priced in US$. Furthermore the dollar price of median income household home in US in the 1970, 80 and today is pretty similar to that in Singapore. The main difference is only that Sing Dollar had been appreciating against US Dollar due to our economic growth. Since 1971, after US went off the gold standard, inflation was massive i.e. currency supply increase at 2.45x in ten years and housing pricing doubled. However if you look at the above table with reference to precious metals especially silver, real estate did not really keep up with inflation. Between 1970 to 1980, Silver price increase >35x and Gold increase by 19x while real estate price only increase by 2x. Even up to present time, Gold is still a better investment since 1970 rising from $35/oz to $1,350/oz which is 38.5x compared to 19x increase in housing. But ultimately it is the understanding of cycles and relationships between real estate and precious metals that is critically important. Fallacy 3 - HDB is an investment? Since majority of Singapore’s population is residing in Housing Development Board (HDB) many people like to use HDB to benchmark the performance of real estate in Singapore. This is ERRONEOUS! HDB simply cannot be treated as an investment hor....! Admittedly HDB is one of the most valuable gifts from government to Singaporeans. HDB interest rate is stable and there exist various types of subsidies to the purchase price such as first time applicant, stay near to parents etc. Moreover unlike banks, HDB are more benevolent towards defaulters of monthly repayments too. That said, it is a misconception to use HDB to mimic an investment asset. You simply cannot own multiple HDBs under a single name in Singapore, can you? Today, if you already own a private property, you are also forbidden to purchase an HDB. For goodness sake, many people thought HDB is their home as long as they are fully paid, it is not. HDB is not freehold, so theoretically it belongs to the government and you cannot handover the property for generations after generations. It is also subject to government regulations. Yes, HDB pricing soared since 1970s. For instance, in 1970s a typical 3-room HDB pricing will cost around S$15-20k. Today the same housing is probably worth S$300-350k (i.e. 15 to 24x). This is not too shabby. But if we were to compare to price of gold which surge 38x, it is a much inferior investment. Refer to above table. For the remarkable success story Singapore attains in the last 40 years and with our currency with respect to USD appreciate from 2.7:1 to 1.35:1 (100% increase), the value of HDB in terms of gold price has only appreciate from 157 to 192 oz of gold which is a 22% increase after 40 years! However if you were to invest in gold in 1980 (global crisis), where gold is severely overvalued, then your HDB in terms of gold will be a much better investment. Therefore the whole idea as I already mentioned earlier, is the understanding of cycles and relationships between real estate and precious metals / stocks that is critically important in our investment success and not just by saying which one is a better investment. In addition, not many average income Singaporeans can afford to pay cash for the flat once and for all. This means interest payments will be incurred for loans which reduced the investment return. Furthermore real estate is not divisible. Buying and selling is less liquid as we have to go through advertisements/agents for potential buyer viewing. This takes time. If you are lucky enough to be able to rent your HDB, while returns are very attractive, factors such as cost of maintenance of flat and intangible aspects relating to the disputes with tenants have to be taken into account also. Fallacy 4 - We are better off when housing price appreciates? Sorry guys/gals, I have to say that most middle class Singaporeans are quite naïve for the fact that they thought the appreciation of real estate pricing is really doing them good and making them rich! Or the masses will at least think “Asset rich mah!”. The answer is big NO! When median income house price surge, we are actually borrowing prosperity out of our next generation. Imagine if the real estate pricing keeps going up, how can your children or grandchildren ever afford a house in Singapore. For housing affordability, we have to understand what housing price to income ratio. In Singapore, the ratio of housing price to annual income is rising fast over the years due to economic developments and inflation. This hurts the lower and middle class the most and for sure they are not becoming richer. Well, let’s see in the following example. Since I grow up around Tiong Bahru /Redhill area, I will use the price of approx 3-Room HDB there as example. A 3-Room HDB in 1980 is approx S$20k and now it is probably S$330k on average. My father is an odd job laborer in 1980. He is the sole income in our household earning ~$500 pm. Assuming with no bonus, hence his take home is $6k annual income. House price to income ratio is just 3.33x (20/6). This is very AFFORDABLE, even considering our very low household income. Considering today if my dad is still around (he passed away way back), he will probably still earn only 1.2k or less with his low education and limited niche job expertise. This equates to 14.4k pa. With a 3-room 330k flat, the ratio is close to 23x. It is absurdly high! According to a 2016 survey “12th Annual Demographia International Housing Affordability” (refer here), Singapore housing is in the category of “seriously unaffordable”. The article states Singapore median house price to income ratio is 5 and in the unaffordable rate. Hence middle class is also not spared from the inflation of housing. Fallacy 5 – Everytime is like 2010-2013? Yes, if you understand cycles (boom and bust) and see the perfect opportunity, then you can really get rich from real estate. For example, if you bought during the trough of 1998 and 2009 crisis. Still, stocks can be equally good then. Or for some, it is simply dumb luck. For instance those who flipped properties from 2010-2013 really get to enjoy huge profits in a short time. Nonetheless we have to bear in mind that this is really a rare once in a life time opportunity, because of US Federal reserve started a series of Quantitative Easing driving interest rate to Zero%. When was the last time interest rate falls to Zero beside after the GFC? In any case, Singapore government also initiated a series of cooling measures to make flipping not possible. Therefore the window of period for such flipping opportunities is really narrow for most average middle class Singaporeans to get the most out of it. What’s worst, if you are not careful, you may be caught investing in real estates during the peak and now get stuck with high-priced properties where you still need to service huge portions of the debt over decades. Real estate is the ultimate end investment, but you need the means to get there! The one that is getting richer is likely the higher income group who aside from the property they reside in, also have several investment properties with manageable debt and more importantly collecting PASSIVE INCOME via rental cashflow. The rising capital values combined with the rental returns of their investment properties will then reap huge profits. What’s more, if it is combined with a clever use of leverage and with the right timing, they will be even richer. Real estate is the ultimate truth to being “richer” after you already becoming rich. I met with my ex-boss recently. He told me that when you have lots of money, (he meant ultra-high net worth like him), you cannot just put everything in stocks or cash. You will need to have bulk of it in physical assets like real estates to generate passive cash flow. Then the rest of the portfolio in stocks, bonds, cash and also seed investing in start-up companies etc. To summarize, rising real estate pricing is really detrimental to lower-middle income household, unlike what most think that we will be better off. We are merely borrowing prosperity out of our future generations. In general on a unleveraged basis, property does not make better investment than shares or precious metals since 1971. The understanding of cycles and relationships between real estate and precious metals / stocks that is critically important in our investment success and not just by saying which one is a better investment than the other. Real estate is the ultimate investment for the RICH to generate passive income cashflow. As for the middle-class we need means to get there (i.e. becoming rich). So, what are your means to get there? Nice article, have u looked at the reverse? The downside? I know market plunge 50-80% from recent high is highly possible. I mean equity market. That's could be one reason. Property more protection from the downside? Counter can go bust and value go to zero. Unless u cannot finance your loan, but we are excluding amplified effect on leverage in returns, so we assume we dun have financing risk, there is hardly any chance your property is worth zero no matter how ulu. Thanks for the compliment. It's an extremely good and valid point you mentioned - "Protection of the downside!" Unfortunately I do not have the data, but if you look at the first graph of Sg residential index, the biggest decline in history of Sg is during the AFC where a tumble from 130 to 70 (-46%). In the same period STI fallen from 2400-2500 to 800-900 (-65%). Otherwise you can also refer to the link herein where I refer to the article from Boring investor blogger Chin Wai. He has some data referencing EC vs Stocks! Frankly the protection of real estates is better I think in Asian society bcos of our perception that real estate is almost like a "save haven". This is very different from the western culture. If I asked my colleagues in Europe (excl. London), they will never invest in Real estates if they have money! It's unfair to say on a non leverage basis, bcos then it's the game of the rich as I mentioned. Even if u have extra $1 mil, u can only fully pay down 1 or 2 or 3 residential or commercial properties. Compare to when $1mil can allow u to hold many stocks. To me, for anyone of net worth less than S$5 million, I think he/she is prolly baby in the real estate investments still. If not, even if u r a top 5% income earner with household income of up to 250-300k, u will still need to leverage or otherwise only have not more than 2-3 properties, unless u r very old already. For most Singaporeans, I know, normally when they leverage highly 2 mil n above, they always project that their salary will only go up and up. Therefore if there is a crisis and they lost their job, then they will have no salary to pay the 6-10k installments. For public service u will not get retrenched, but similarly, salary of individual is unlikely to hit 200-250k of u r still young, unless u r top few %! Oh Ya... actually we cannot even measured real estate in currency, because currency is Fiat and while numbers are increasing, value is decreasing. Hence if we really thought our estate price has increased tremendously in currency terms, it actually meant there is inflation over the years. Therefore if you look at Robert Schiller's work, he actually plotted real estates or Dow against gold or silver and or/ oil etc. nice series, I only skim through but can tell some work put in. Thanks for the compliment. Yes, agree with you that both property and stocks can be useful tools at different times. End of the day, I believe there is no one tool that suits all. It really depends on individual liking and preference. Different strokes for different folks. Can we compare property to single stock? Do we use the same amount of $$$ to buy single stock? Why do some some people like to compare property to single stock going down to zero? Strange. We should be comparing property to portfolio of stocks. Can portfolio of stocks going down to complete zero? Actually it's not so much of a single stock but all your wealth or most of your wealth in the stock market is definitely not wise. again a very valid point, cannot really compare both. Property value cannot go to zero, but if you are so dumb to buy an investment property so awkwardly located or designed that eventually it just cannot be sold or rent out, it is also as good as low or no value! Conclusion: both are useful tools, but both need proper skills/education/risk calculation etc. Rolf i think you seem to have a recent fascination on fiat currency losing value. it is always the case but i feel that you should compare to someone who was working you your dad's competency level now instead of your dad's salary now. that would be better. i think you are also taking it that gold is money and the rest are not money. 1) Income/ competency group & 2) Fiat currency. Good point on using the competency levels rather than income. Noted! My whole idea in the article is trying to compare 1) Low income 2) Middle income 3) High income group to let the masses (low and middle income) know that we are actually not better off when the flat we lived in skyrocketed in price over the years. Many people I spoke to who have only 1 flat, always think they are better off when their HDB flat rises in prices. Well, it is can be true when you downgrade from a bigger more expensive house to a smaller. Then again, I mentioned we are borrowing prosperity from the future generation. My dad represents lower income group with low competency level. Hence for this group, housing in SG is severely unaffordable. If you refer to Middle income group, in 1970-80 their house-income ratio is probably 1-3 only. But today Middle income group even with IMPROVED competency is still about 5, hence still in the unaffordable range. So while competency and living conditions improves, affordability also widened with longer loan term. This is something we need to bear in mind. You spotted my recent fetish! Haha… No lar… it is not fascination but perhaps indulgence in protection/hedge to counter "what ifs" events. I realized as I become more exposed and see more (not just from reading but personal experiences), the more "unexpected" events I came across. Hence this prudence advocates. And not precious metals advocates! I am no dealers n do not get any comm for advocating. It is all about hedging for me. If economy is rosy, precious metal price falls, I am happy bcos I can perhaps earn more in my salary/business or stocks n happy for this world. On the other hand, if economic conditions turn sour, my p. metal holdings rise, I am protected. Either way, I am happy. Isn’t it fantastic? In my parent's era, many people do not believe in insurance. Today? Fiat currency indeed is not exactly money, because it is does not have the characteristic of storing value. Nonetheless, that is the best we have today! Consider the fact that US$, Euros, Yen had lost so much of their value over the years, it can be worrying. Whether if it will lose its complete value to zero in my life time, I DO NOT think so. I am still holding sgd, aud, usd. Perhaps there can be new monetary system seen in my lifetime? Yes, Sg work hard in the past, increased our productivity n competence over the years. That is obviously why we have surplus today and our GDP rise rapidly! However, if we says the rate of increase of our GDP to our productivity is linear, then we are somewhat lying. Our economic expansion has seen almost exponential increase. Thanks to leverage, and being globalised, also because US, Europe, Japan, China exporting their “inflation” to us via their currency expansion policy. Therefore we better not be over conceited that our entire success today is because of our productivity/competency etc. Maybe also a lot is attributed to our good governance, yes! Nonetheless, I am still confident in my lifetime that I will see Singapore continue to do well, but for my children n if all goes well, my grandchildren, it awaits to be seen. yes i would. quite open to the concept. thanks for your detail explanation. can't say i would describe them the same way but that is the way fiat currency is. I strongly believe there is a time for everything on earth. And your former boss is just like the many "very the rich." In facts, many very rich Asian Chinese families have children & kin spread all over Asia and the world. If you have a lot, you definitely want your money to spread all over the "places". A finger in to as many pies as possible. You surely should not put all your money into the stock market. Go and ask Stanley Ho of Macau (if he still around) of what happened to his father's fortune. And you have not much money, you just can do much lol! Agree that if u start to have a lot, u will then have finger into as many pies. Most people here just have stocks n no investment real estates is also like what u say, they have yet to have a lot! Great news! It’s awesome, isn’t it? I think that we need to encourage young generations to perform well. My position is following: governments have to be subjective to every student and give an award based on his performance. The majority of students try to check money service to feel independence. And this is cool! Hopefully, in the world there is the possibility to take a loan for studying. After graduating, college students find jobs and return money. So let’s differentiate those students!